The American Health Care Act--that's what it's called. 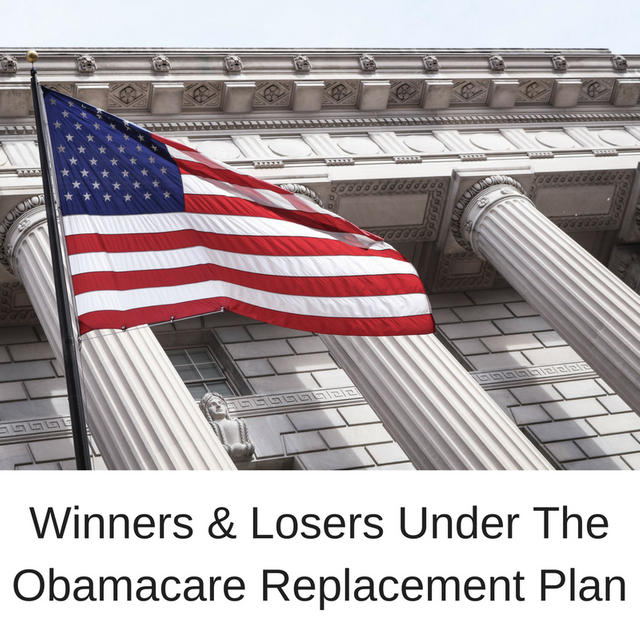 The House released its plan to replace Obamacare, and, now that we have something in hand, let's look at potential winners and losers in the new landscape. The reaction on Twitter (sample listed on screen right) ranged from balanced to angry. Click the link beneath for the original article and analysis from CNN. Titled the American Health Care Act, the legislation calls for providing refundable tax credits based on a person's age and income. It keeps the Obamacare protections for those with pre-existing conditions, but it allows insurers to levy a 30% surcharge for a year on the premiums of those who let their coverage lapse. It lifts the taxes that Obamacare had imposed on the wealthy, insurers and prescription drug manufacturers. And it loosens or removes several of the health reform law's strict insurance reforms so that carriers can offer a wider -- and some say skimpier -- suite of policies.